Acute free perforation of the sigmoid diverticulitis is an emergency surgical intervention required condition. Although the sigmoid resection and temporary end colostomy or abdominal lavage and drainage are the most commonly used surgical methods for its treatment, the most effective surgical method has not been established yet. We applied a different surgical method for the surgical treatment of free perforation of acute sigmoid diverticulitis outside of these surgical procedures. A double row epiploicoplasty was performed for surgical treatment of free perforated sigmoid diverticulitis with surgical success in a patient who had concominant serious diseases. A perfuração livre aguda da diverticulite de sigmoide é um problema que exige intervenção cirúrgica de emergência. 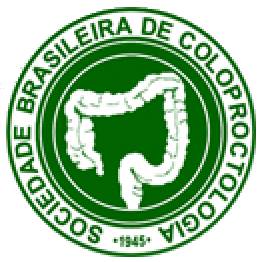 Embora a ressecção de sigmoide e a colostomia de extremidade temporária ou a lavagem e drenagem abdominal sejam os métodos cirúrgicos mais comumente utilizados para o seu tratamento, o método cirúrgico mais eficaz ainda não foi estabelecido. Aplicamos um método cirúrgico diferente para o tratamento cirúrgico de perfuração livre de diverticulite de sigmoide aguda fora desses procedimentos cirúrgicos. Uma epiploicoplastia de duas fileiras foi realizada para o tratamento cirúrgico de diverticulite perfurada livre de sigmoide com sucesso cirúrgico em um paciente com doenças graves concomitantes. Colonic diverticular disease (CDD) can be defined as the clinically manifested form of the colonic diverticulosis (CD). This manifestation can show itself with bleeding or infection. Whereas bleeding was reported in 3–5% of people with CD, diverticulitis was reported between 15 and 20% of people with CD. A 75-year-old-woman patient being followed due to intracranial hemorrhage in intensive care unit was examined. Abdominal distention and bowel sound loss were found in her physical examination. Intraabdominal free air was detected with abdominal computed tomography (Fig. 1). Acute free perforated sigmoid diverticulitis and locoregional peritonitis were found through the abdominal exploration. The surgical condition of the patient was not good depending on her concomitant disorders. We preferred a short-time surgical method for surgical treatment of the free perforated diverticulitis. For this reason, appendices epiploicae were used to repair the perforation hole in the bowel wall. Three separate sutures were placed by through either side of the perforation hole, and tied after the appendices eppiploicae was inserted inside of the sutures to close the perforation. After completion of the first row epiploicoplasty, another appendices epiploicea which is localized at the opposite side to the first one was taken into the same sutures and tied for completion of the second row (Fig. 2). A drain was placed to the left paracolic gutter after the abdominal cleaning. Abdominal wall was closed without a diverting stoma. The drain was taken on postoperative fifth day without any discharges. Intraabdominal free air on abdominal CT. The completion of the double row epiploicoplasty with interrupted sutures. On postoperative 10th day, there was no intraabdominal pathology on computed tomography. The patient died on postoperative twentieth day depending on the recurrent intracranial hemorrhage without any abdominal complication. Treatment modalities of the colonic diverticulitis mainly depends on disease severity, and the main aim of the operational procedures performed for perforated diverticulitis have focused on reducing the duration of surgery and postoperative complications.3 Colonic diverticular disease severity is classified using Hinchey's staging system which is based on computed abdominal tomographic findings.4 Perforated diverticulitis is a life-threatening condition which requires urgent surgical intervention in CDD patients. The surgical treatment of the perforated diverticulitis is still a debated subject. Ideal surgical method for perforated acute diverticulitis remains as controversial depending on the morbidity and mortality ratios of the surgical methods.5–7 It has been observed that surgical modalities for perforated diverticulis have been changing over time. When we decided on the operation modality, omentoplasty procedure performed for perforated peptic ulcer have inspired us to choose of the epiploicoplasty for closure of the perforated diverticulitis. Primary closure of the acute free diverticular perforation with epiploicoplasty should be considered in mind for perforated diverticulitis treatment in the patients with poor general condition. Diverticular disease: epidemiology and management. A.M. Morris, S.E. Regenbogen, K.M. Hardiman, S. Hendren. D.A. Etzioni, T.M. Mack, R.W. Beart Jr., A.M. Kaiser. Diverticulitis in the United States: 1998–2005. Changing patterns of disease and treatment. E.J. Hinchey, P.G. Schaal, G.K. Richards. Controversies in surgical management of sigmoid diverticulosis. J. Chapman, M. Davies, B. Wolff, E. Dozois, D. Tessier, J. Harrington, et al. Complicated diverticulitis. Is it time to rethink the rules?. N. Wieghard, C.B. Geltzeiler, V.L. Tsikitis. Trends in the surgical management of diverticulitis.